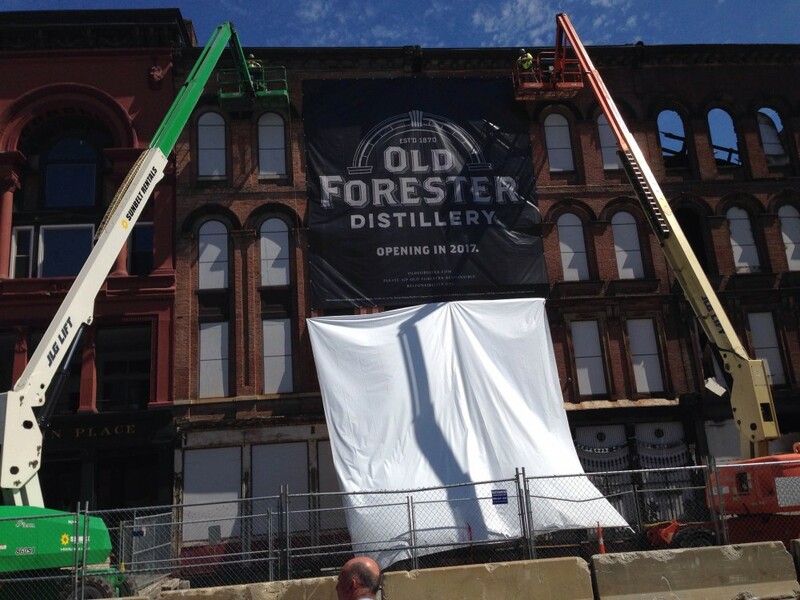 Finally, Old Forester bourbon is getting the love it deserves from its owner, Brown-Forman. Over the past two years the historic bourbon has gained three line extensions and a mega-sports sponsorship of the Kentucky Derby. But most significantly, on July 22, its owner threw a party signifying the start of construction of a new $45 million OId Forester distillery. This for a brand that’s been sold without fanfare for decades, if not most of its 145-year life. I know I’m not the only one saying, “It’s about time Old Fo got its due.” Customers have loved Old Forester for years, especially in its hometown, Louisville, Ky. And if you can get Brown-Forman employees to speak privately, many will tell you they prefer it over the far younger B-F flagship bourbon, Woodford Reserve. Until recently, Old Forester never enjoyed the marketing muscle, promotional drive or stunning visitors center given Woodford. 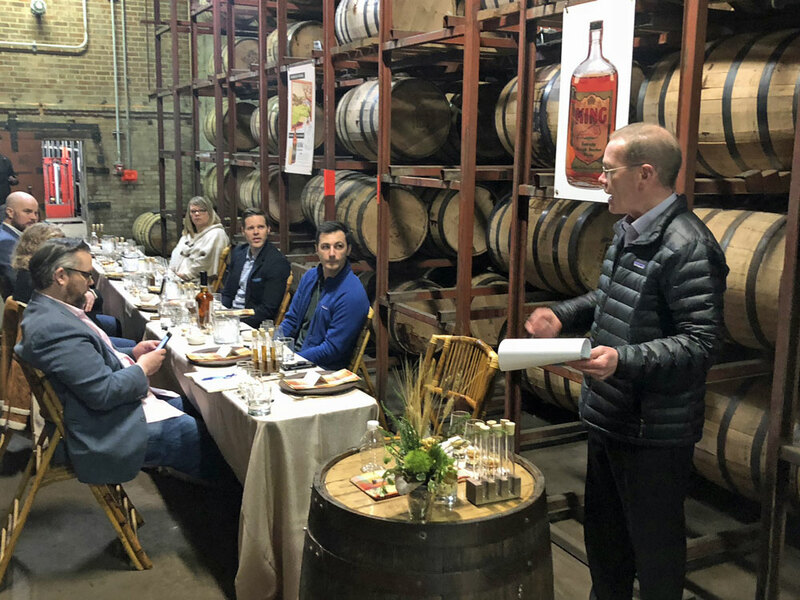 And it’s left many on the outside wondering why such a good product with a highly marketable heritage–and so much of selling bourbon is about selling a brand story–got so little exposure beyond its retail shelf presence. Not only does it taste fantastic whether sipped or stirred in a cocktail, Old Forester costs almost 50 percent less than Woodford. A few years, ago, Brown-Forman recognized the untapped potential in Old Forester and it set in motion a plan to capitalize on both its quality and its heritage. Created by George Garvin Brown in 1870, it was the company’s first significant brand. It survived Prohibition as “medicinal whisky” that doctors could and did prescribe with amazing frequency. When the curse of Prohibition was lifted, production of the bourbon resumed apace. It had a huge start on competitors, but it never took the commanding lead it might have. 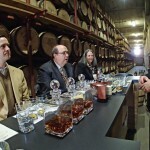 In modern times, it also never gained the cache Woodford has, nor Woodford’s sales numbers. Woody’s annual case counts are triple that of Old Fo’s. So credit Brown-Forman for its change of heart on its legacy brand, and celebrate its greenlighting Old Forester’s limited production releases: Birthday, Single Barrel, 1870 and 1879 Bottled-in-Bond. All have been hits, and if I had my choice among them all, the BiB is my pick. Just outstanding. But at $39-$69 per bottle for all four expressions, those are special occasion picks for me. So if I want a daily drinker, I’m hard pressed to overlook a $19 1 liter bottle of 100 proof Old Forester Signature (yep, that’s what I paid recently). I can’t think of a better bourbon value for the money, and it’s my prediction that Signature and its 86 proof brother will remain the brand’s backbone for a long while. So about the new distillery commemoration: Since there was no ground to break, there was no de rigeur shovel brigade and staged photo ops. All the expected swells were there: Campbell Brown, Old Forester’s president, Paul Varga, B-F CEO, Kentucky Gov. Steve Beshear, Louisville Mayor Greg Fischer, and on and on. Add in about 200 others and it was an impressive turnout for a warm workday morning in summer. The backdrop to the event was the 150-year-old Whiskey Row building (on Louisville’s Main Street) where the distillery will be built. Reporters go to loads of press events, but none are as fun as those tied to potent-potables. And when you can get a stout sip of a quality bourbon before lunch, it’s easy to listen to the quote machines who take the podium in the runup to the group toast. Nearly two weeks ago, there was a devastating fire on Whiskey Row that consumed the bones of four buildings. Yet the fact that those buildings’ historic cast-iron and brick facades remain standing is a testament superb and sturdy construction done so long ago. And it’s a fitting symbolic acknowledgement that a well-made bourbon that’s also stood the test of time will be made there in 2017.